(KTLA) - A car possibly linked to a missing North Hollywood couple that had gone on a trip to Big Sur before Christmas was found off a side of a cliff in San Luis Obispo County, and a person and a dog were found dead nearby, officials said Tuesday. California Highway Patrol officials responded to Highway 1 near Ragged Point about 3:30 p.m. after receiving a call from State Parks authorities. The car, described only as being tan, was found 325 feet over the side. The area is rugged and about 10 miles north of the Hearst Castle, the Los Angeles Times reported. The car used by the couple for their road trip is tan. No further details about the body or the wreck have been released. Both bodies were recovered from the area Tuesday, but the vehicle won't be pulled out until Wednesday, CHP officials said. The San Luis Obispo County Sheriff's Office will handle identifying the person who died. Ragged Point to Coast Gallery south of Big Sur was expected to be closed overnight because of rock slides, complicating the search and recovery efforts, Cal Trans officials tweeted. 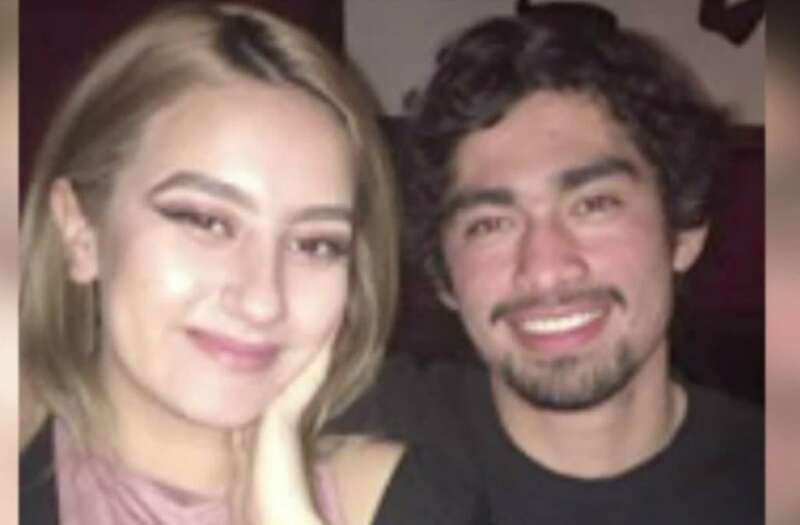 Olivia Hannah Gonzalez, 20, and Brian Fernandez, 21, were last seen on Dec. 23 when they left for their getaway in a 2002 four-door tan Honda Civic. The vehicle has a California license plate number of 5VUD295. The couple was expected to return on Christmas Day, but their families have not heard from them, according to the Los Angeles Police Department. They apparently were traveling with two dogs. Gonzalez's sister, Vanessa Guzman, told KTLA that she received a call from CHP officials in San Luis Obispo saying they found a car, but couldn't confirm it belonged to her sister or her sister's boyfriend. Guzman had previously told KTLA that her husband received a message from Gonzalez that Friday afternoon saying they were about two hours from Big Sur. #Hwy1 is closed overnight from Ragged Pt to Coast Gallery south of #BigSur due to rock slides. Crews will inspect & clean-up at daybreak.